Michael Galpern is the Co-Managing Partner and Chairman of the Wage and Hour department of the Locks Law Firm in Cherry Hill, New Jersey. 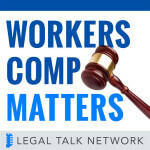 Galpern is also the new president of the Workers Injury Law and Advocacy Group (WILG) and the past president of the New Jersey Association for Justice. Galpern has also been an invited lecturer on numerous occasions, speaking on subjects related to civil litigation and complex torts.